Revendiquer "Desert Trek Tours Morocco"
Why Tripping with the best Morocco Desert Trek Tours Company! Marhaba, Welcome to explore and experience our planet with Morocco Desert Trek Tours Agency. Morocco is the only country where sea and desert mix, cold and warm, authenticity and modernism, and Cultural Diversity ( Berbers, Arabs, and Jews). We all love to travel, but not everyone loves to travel the same way. Are you planning a next vacation trip to Morocco? Looking for a private tour guide services, then you are at the right online travel website. Your gateway to Morocco starts here. While Morocco Desert Trek Tours (DTT) is a small local adventure travel company based in Merzouga Sahara Desert. For this reason, our website is dedicated to everyone who wants to discover the real Morocco. With this in mind; we work hard to make your Morocco trip adventure a unique lifetime experience, and to ensure that your journey will be one you will treasure forever. 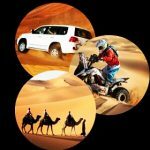 What Morocco Desert Trek Tours Offers for you ! We offer professional guiding service; all our drivers and tour guides are experts, nationally licensed, and friendly (they are fluent in English, French, Spanish, Berber and Arabic). Also we offer a variety of Morocco tours and trips, events and activities especially for families with children, honeymooners, solo travelers, couples or school friends. Surely we design Morocco desert trek tours that feed traveler’s mind, body and soul; also could connect them to a region and its people. Go into the places and landscapes only locals are familiar with, in order to be unforgettable memories. Also we can tailor one especially for you to suit your interests and budget, whether it is a multi-days tour all over Morocco or a shorter guided day tour to explore imperial cities such as Marrakech, Fez, Casablanca, or Meknes. All our Morocco desert trek tours are private in nature, also could be start from anywhere in Morocco. In addition to that; Our team will collect you from your hotel accommodation, airport, or port to start your Morocco Desert Trek Tours. We will customize your experience as you wish it to be. Travel in comfort with security and confidence. Please look around our website and feel free to Contact Our Team of expert consultants to plan the holiday of your dreams. At Morocco Desert Trek Tours our passion is providing unforgettable trip adventures and memorable experiences. Most of our adventure tours include a mix of outdoor activities, Sahara Desert adventures, atlas mountains hiking, Sahara camel trekking, Nomads wildlife experience, cultural exploration trips, Fes and Marrakech imperial cities sightseeing excursions. Also we offer a range of dedicated and tailor-Made private tours for those who want to focus on particular activities. Truly our goal is to provide customized tours based on what you prefer and would like to see and do in Morocco. 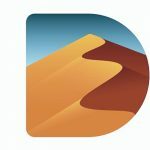 Best Morocco Desert Trek Tours Company to discover the real and authentic Morocco ( berbers lifestyles, Nomad Culture…).